General Description: The Department of Hygiene and Epidemiology of the University of Ioannina invites applications for Postdoctoral Research Associate. 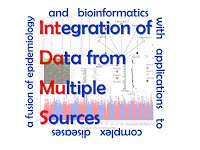 The post is embedded in the project ‘Integrated Multiple Meta-Analysis’ funded by the European Union. It entails statistical analysis of data and developing of novel models to synthesize evidence from clinical and molecular experiments. Details: The post holder will work on developing novel statistical models in meta-analysis for multiple interventions and will analyze data from ongoing systematic reviews. Multiple-treatments meta-analysis is an emerging and important research area and has exciting applications in various medical research fields. Within a multidisciplinary and highly motivated environment, the post will provide the opportunity to the successful candidate to work in collaboration with various European research groups in the cutting edge of evidence synthesis. A major focus of the post will be on the synthesis of data from clinical trials in specific diseases such as osteoarthritis, schizophrenia and multiple sclerosis. Successful applicants will have the opportunity to gain vast experience on challenging and exciting projects and collaborate with leading international researchers. Setting: The post is funded by a European Research Council grant. The grant supports also training opportunities and career development for early experience researchers. This will allow the post holder to attend workshops, conferences and networking activities. Research supervision will be provided by Dr. Georgia Salanti who has a strong record on evidence synthesis. Qualifications: You should have a PhD, or equivalent, in a quantitative discipline such as statistics, applied mathematics, computational biology, or computer science. Interest in epidemiology and understanding of clinical problems are an important advantage. Programming skills in a high level language such as a C and R are essential and previous experience with Bayesian methodology is desirable. Fluency in English and aptitude with writing and publishing manuscripts are essential. Applications should include a CV, contact details for two academic or professional referees and a cover letter with a personal statement (about half a page) describing your suitability and motivation. Salary: 20,000 -24,000 Euros per annum (depending on qualifications and experience).